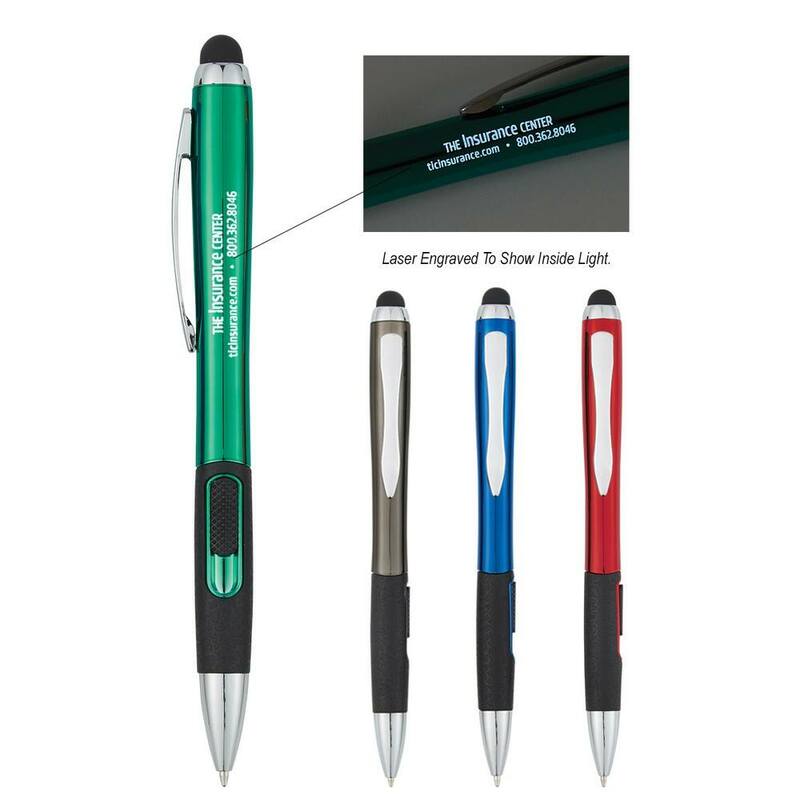 Our Montara Light Pen features bright white LED light that shines through the imprint, Customizable with your logo for Brand Recognition. Brighten up their day in the 'write' way with the personalized Montara Light Pen at the next promotional event. The innovative pen features interior white LED light that shines through the imprint to illuminate your brand logo for better exposure. It also features stylus on the top to facilitate easy navigation on tablets and smartphones. 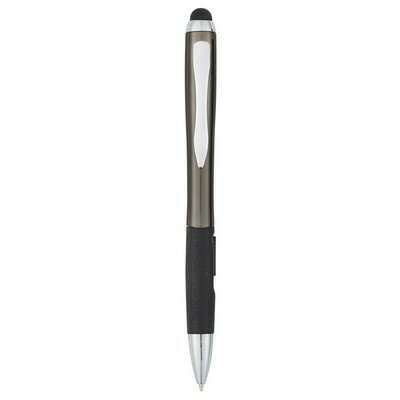 You simply need to push the slide action button to activate the medium point black ballpoint pen. Rubberized grip ensures hours of comfortable writing. 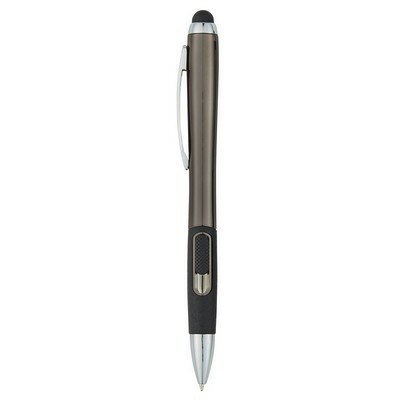 You can select from four metallic colors and add your brand details to customize the pen.